The Corvette saw some major changes in 1981. Perhaps this is one of the reasons it has become a popular year for Corvette lovers. Or, just maybe, it’s that sleek body that has a posture that says “Challenge me, I dare you.” Regardless of the reason for its popularity, the 1981 Corvette is a piece of automotive history that any car lover can admire. Let’s take a closer look at some of the details surrounding this iconic street machine. 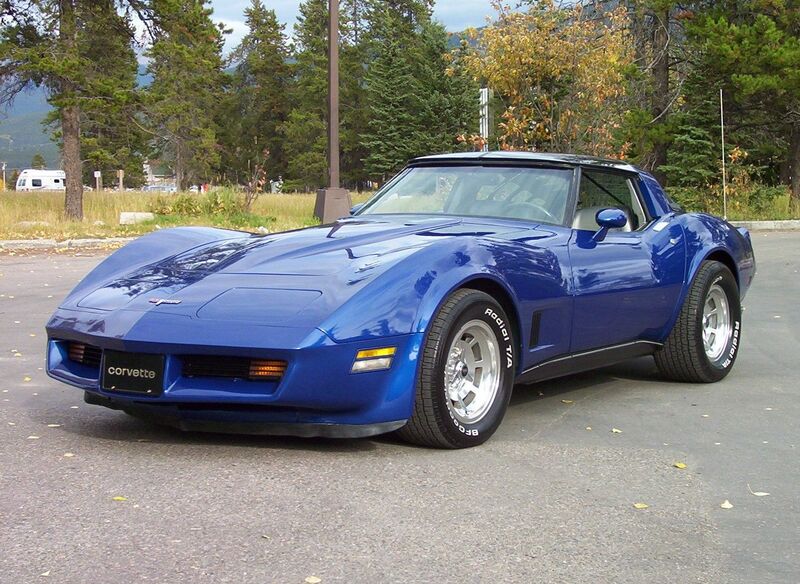 As we stated above, 1981 brought some changes to the popular Corvette line. For starters, 1981 was the first year ever that Corvettes were made in two different factories, the closing St. Louis plant, and the new Bowling Green, Kentucky plant. The very first Corvette to be produced in the Kentucky facility was on June 1, 1981. The very last Corvette to be produced in St. Louis was on August 1, 1981. While the Kentucky produced Corvettes were painted with enamels and clear-coats, the St. Louis Corvettes continued with lacquer paints until it finally closed. Another factor that impacted the 1981 Corvette was the transmission and the mono-spring. This model year would be the last year you could get a standard transmission until late in 1984 with the C4 Corvettes. The Corvettes that were equipped with an automatic transmission were also equipped with a rear mono-spring that was reinforced with fiberglass while standard transmission cars and those equipped with the Gymkhana suspension package kept the steel springs. This type of processing helped to reduce the weight of the spring by 33 lbs. compared to the steel springs. Additional changes included a stainless steel exhaust manifold that was only found on the California Corvettes in previous years and was almost 15 lbs. lighter than the original cast iron manifolds. A chromed air cleaner cover and a quartz clock were both also now a standard feature. The final change to the 1981 Corvettes has to do with the Vehicle Identification Number or VIN. 1981 was the first year where the numbers that identified the Corvette’s body style was included in the VIN. Previously, it was a separate number. There were a total of 40,606 1981 Corvettes to hit the streets during this production year. However, the selection of options for this model year was limited as far as the engines were concerned, the 350ci V-8 was the only option. On the positive side, this V-8 has been reworked from the previous years. It featured a new Computer Command Control and an auxiliary cooling fan that was electronic. 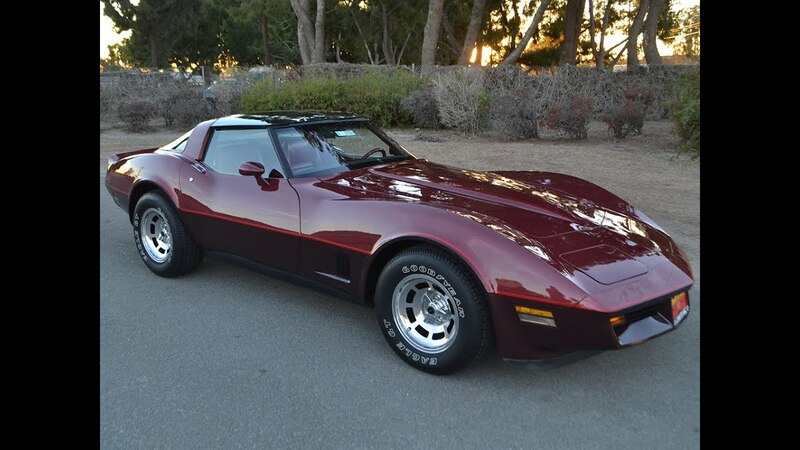 While the 1980 California Corvettes had already seen such reworkings, it was not available on Corvettes made elsewhere. This electronic fan helped to keep the engine driven fan smaller and quieter. Here is a list of what options were popular for the rest of the car. Power Driver Seat = 29,200 of the 40,606 were equipped with this optional feature. Power Door Locks = Nearly 37,000 of the 1981 Corvettes came with power door locks. Cruise Control = 32,522 of the 40,606 had this feature. Power Antenna = 32,903 Corvettes had power antennas equipped. P225/70R15 White Letter Steel Belted Radial Tire = This feature beat the 60R15 tires by 3,000. Other features drivers could look for include: trailer package, roof panel carrier, California Emissions Certification, AM/FM radio, ETR stereo w/cassette or 8-track that could also include a CB radio, performance axle ratio, 4-speed manual transmission, and aluminum wheels. With the advanced paint facility in Kentucky, the 1981 Corvettes were also available with a new two-tone paint scheme. However, there were only 80, 1981 Corvettes painted with this new two-tone scheme initially while the manufacturer tested the new process. For colors, the car buyer had a nice selection to choose from. Exterior: Dark Blue Metallic, Dark Claret Metallic, Yellow, Dark Brown Metallic, Silver, Red, Classic White, Black, Light Beige, Dark Green Metallic, Primer Gray, Mahogany Metallic, Bright Blue Metallic, Charcoal Metallic, and Autumn Red. Two-tone options were: Autumn Red/Dark Claret, Silver/Dark Blue, Beige/Dark Bronze, and Silver/Charcoal. Interior: Beige, Claret, Blue, Red, Oyster, and Black. CarGurus.com. This website features a plethora of information for all topics automotive. If you have any questions, you can post your question and get answers from other fans and professionals. Vettehound.com. If you are looking to buy your own ‘81 Corvette, you might want to try Vette Hound. This site specializes in helping connect buyers with people looking to sell their Corvettes. Corvettecentral.com. For those in the process of restoring their classic 1981 Corvette, you may be looking for a place to find original replacement parts. While eBay and similar sites are a good starting point, Corvette Central deals only in Corvette parts. It seems as though it does not matter what year a Corvette might be, there is plenty of options for adding a unique look. The selection of aftermarket parts the market that can turn this car from a vintage show-stopper to the weekend ride of your dreams. Vertical door kits, polished engine components, ground effects kits, carbon fiber body components, you name it and you can find it for this car. And if you are looking to add factory original parts to keep your car as original as possible, you can find many dealers online that sell strictly factory original parts for Corvettes. While the fenders might not jump out at you quite as much as a ‘72 Stingray, the 1981 Corvette is just as sleek and attention-grabbing. Power, style, and a lineage of class, The ‘81 Vette can easily rank as one of the best to hit the streets. We hope you liked this article and look forward to your feedback. Please check out our Facebook page for more great content.